Rest of year: park gates are open 8.30am to 6pm. For a longer hike, you can walk from the Glenbrook park entry down to the causeway. Make sure you allow extra time for the steep walk there and back (around 3km one-way). You can also drive 13km past the park entry to Red Hands carpark, along The Oaks trail and Red Hands trail, for a 1km return walk. This track has most likely been used by the Darug people for thousands of years, and you too can walk in their footsteps. 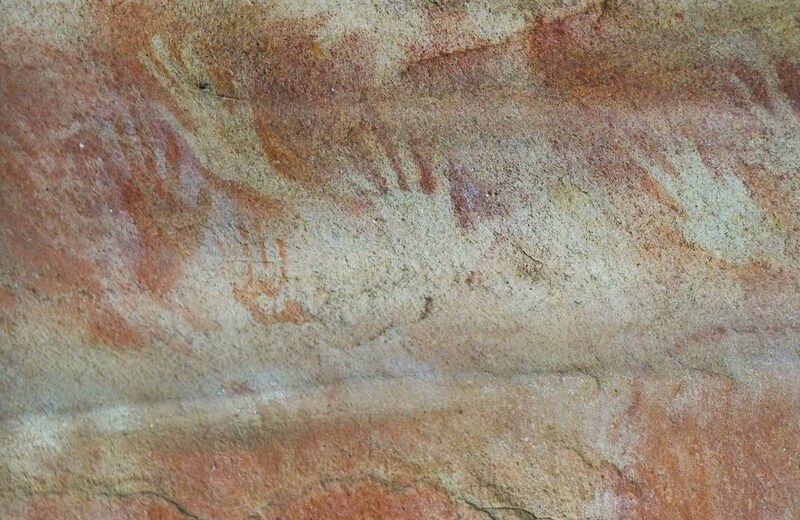 Red Hands Cave walking track, in the Glenbrook area of Blue Mountains National Park, winds through remote bushland to one of the best Aboriginal stencil galleries in the Sydney Basin. From Glenbrook Causeway, follow the medium-difficulty track along Campfire Creek where you’ll see axe grinding grooves on the water’s edge. Keeping to the right at the track junction, you might see eastern water dragons sunning themselves. Climbing steadily through the gully, you’ll reach the sandstone overhang of Red Hands Cave. 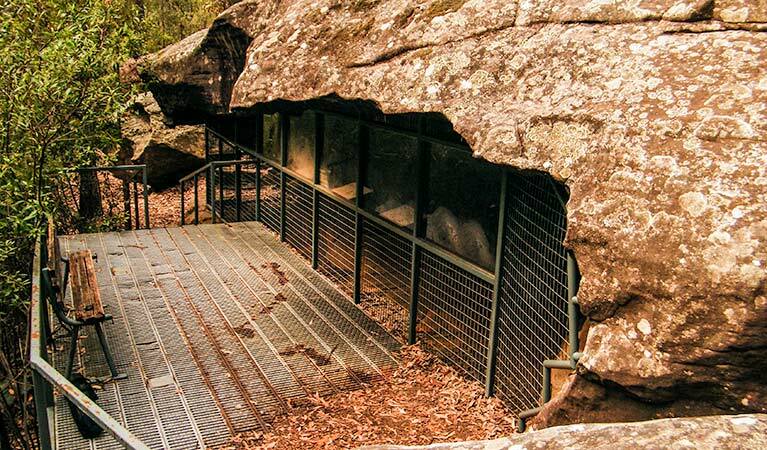 Take a virtual tour of Red Hands Cave walking track - Blue Mountains National Park captured with Google Street View Trekker.